It seems almost inconceivable to say, but in all the decades that Japan’s Studio Ghibli has been entrancing film lovers with its beautiful animation, not a single one of those films has ever received a wide release in neighboring China. Thanks to a combination of strained relations between the two superpowers, not to mention the Chinese government’s strict rules about which kinds of films can be shown in the nation’s multiplexes, most Chinese audiences have never seen the likes of Spirited Away, Howl’s Moving Castle or Princess Mononoke. Now, however, in honor of the 30th anniversary of My Neighbor Totoro, a Hayao Miyazaki film will finally be released all throughout China. According to THR, the Chinese release of the film would involve “leading local actors” providing a new dub for the characters’ voices. The story of course revolves around two young girls, Satsuki and Mei, who befriend the local forest spirits of their rural home in postwar Japan. 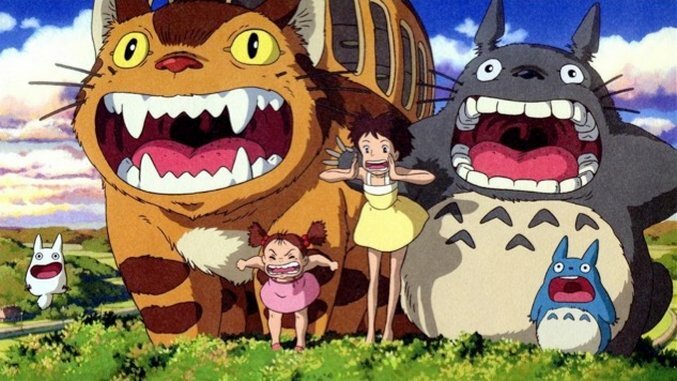 When it was initially released in Japan, Totoro was a modest success, but has since gone on to become one of the most internationally beloved animated films of all time. Its release in China will certainly raise the hopes of Chinese cinema aficionados that the rest of the Studio Ghibli library will follow. Ponyo seems like an obvious next choice, as that film is currently celebrating its 10th anniversary. Miyazaki, meanwhile, is still hard at work on his latest film, which he came out of retirement to begin. Titled “Kimitachi wa Do Ikiru ka,” which translates as How Do You Guys Live?, it’s still reportedly several years away. Let’s hope that the 77-year-old Miyazaki is able to see it through to the end.